Announcing the vinyl debut of Live At The Isle Of Wight from 1970 and the CD/DVD Greatest Hits Live recorded last year – Both available from Rhino October 26th, 2018. 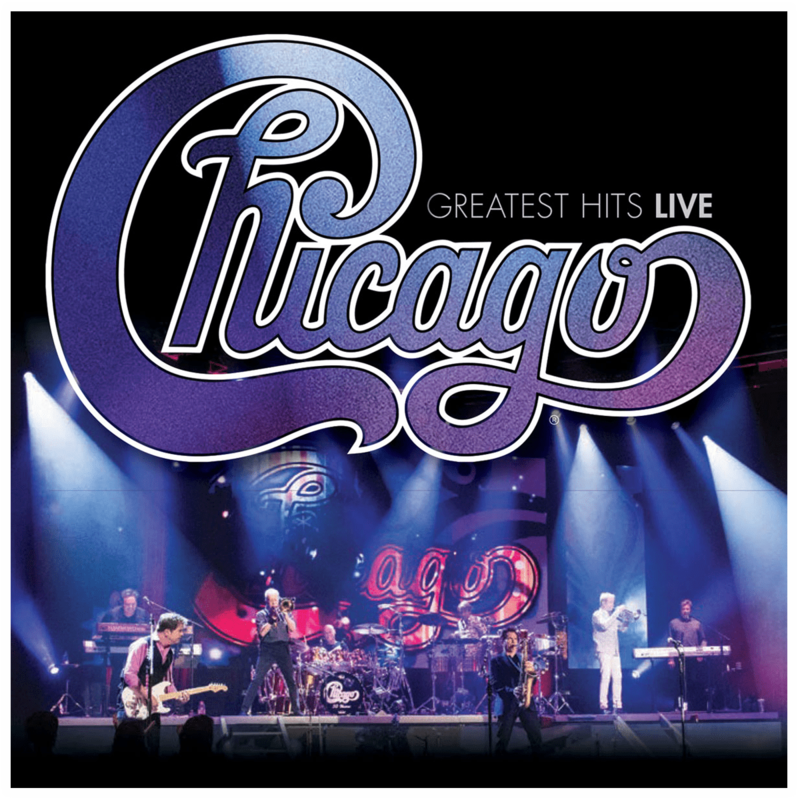 GREATEST HITS LIVE features 13 of Chicago’s biggest hits, which were recorded live in 2017 for PBS’s Soundstage series. It will be available in two formats on October 26: a single-CD version ($14.98) and a CD/DVD set ($24.98) that includes video of the program, plus a 5.1 audio mix. The music will also be available digitally and via streaming services. 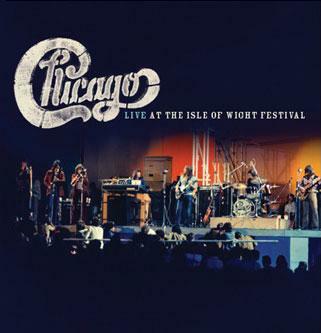 LIVE AT THE ISLE OF WIGHT includes the band’s entire August 1970 performance at the Isle of Wight Festival. Available on vinyl for the first time, the double-LP set will be released on October 26 for $34.98. The songs on GREATEST HITS LIVE span the Rock and Roll Hall of Famer’s entire career and include “Does Anybody Really Know What Time It Is” from the group’s 1969 debut album; the #1 smash “If You Leave Me Now” from 1976; and “Hard Habit To Break” from 1984’s Chicago 17, which is still their biggest-selling album. Festival with Jimi Hendrix and The Doors. The band’s performance debuted on CD earlier this year as part of Chicago: VI Decades Live (This Is What We Do). This double-LP set is the concert recording’s vinyl debut. Formed in 1967 in the band’s namesake city, Chicago is one of the longest-running and best-selling groups of all time. It’s the first American band to ever chart albums in Billboard’s Pop Top 40 in six consecutive decades, the highest charting American band in Billboard’s Hot 100 All-Time Top Artists and the #4 band on Billboard’s All-Time Top Bands and Duos list. The group’s extensive accomplishments include: two Grammy Awards®, multiple American Music Awards, 11 Number One singles, five consecutive Number One albums, and record sales in excess of 100,000,000, with 47 albums earning gold and platinum certification. Chicago was inducted into the Rock & Roll Hall of Fame in 2016, and Chicago’s first album, Chicago Transit Authority, was inducted into the GRAMMY® Hall Of Fame in 2014. Robert Lamm and James Pankow became inductees of the Songwriters Hall of Fame in 2017. These legendary songwriters wrote mega-hits such as, “25 or 6 to 4,” “Saturday In The Park,” “Feelin’ Stronger Every Day,” “Make Me Smile,” and many others.